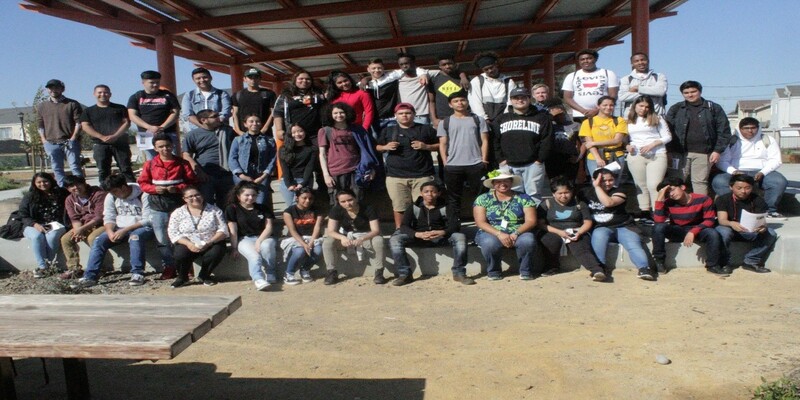 On October 19th the Kennedy High IT Academy seniors participated in the annual Y-Plan field trip. 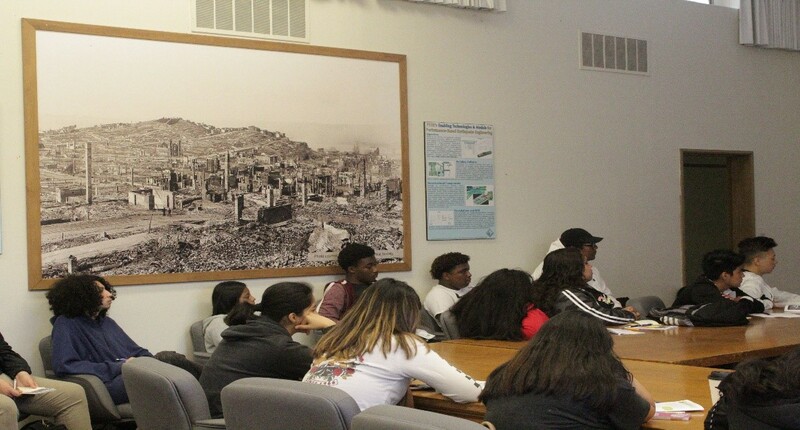 This year their trip included sites in their city that would support their understanding and idea development for their Y-PLAN Project, asking them to design a Smart City for 2050, thinking about technology and climate change impacts on the City of Richmond. 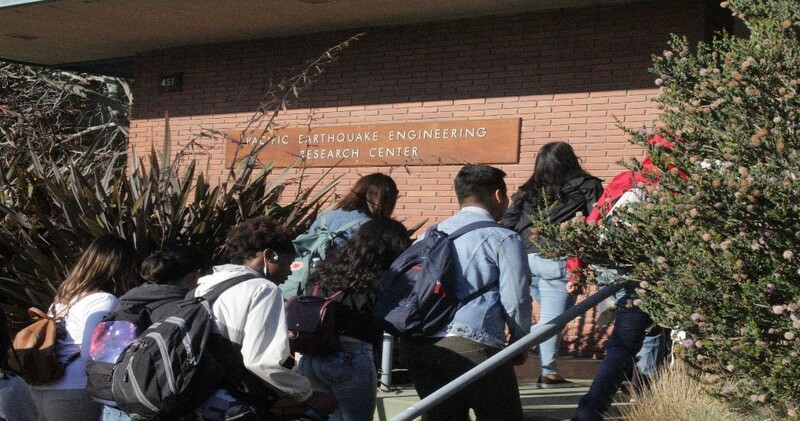 The students along with their chaperones visited the Pacific Earthquake Engineering Research (PEER) Center in UC Berkeley’s Richmond Field Station and Unity Park Community Plaza along the Richmond Greenway. During lunch, students got to see the new Ferry Terminal, still under construction, located near the historic Ford Craneway. At the PEER Research Center students learned about the potential risks and impact of earthquakes on urban infrastructure and homes, how technology is being used to test models of civil infrastructure such as bridge columns, as well as how various career paths can take you to run the Shake Table, a based measuring 25ft by 25ft that is able to simulate earthquakes with magnitudes of 8.0 on the Richter scale. We got to see it in action! Students also heard a bit about the career trajectory of the staff at PEER and how they entered the field they are in today. We met an engineer, a librarian, and a former construction worker who was hired for manual maintains work and now maintains and runs the actual Shake Table. It was great for students to see that there are multiple entry points to this type of work from data and research to manual labor and manufacturing. 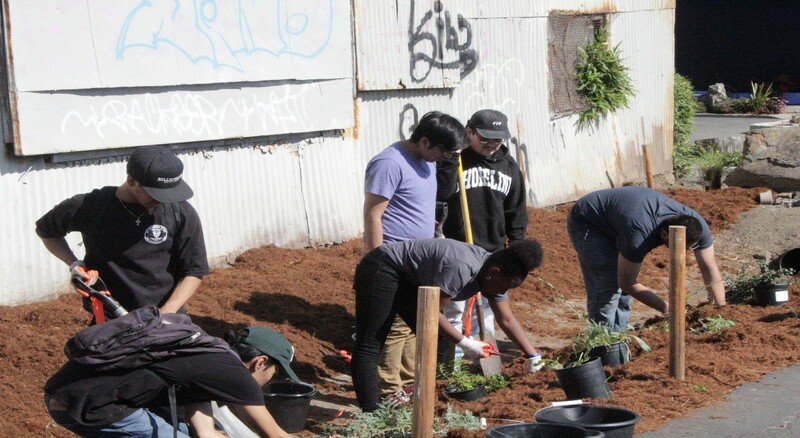 While at Unity Park, students worked in small teams on a green infrastructure design challenge. They used plastic bottles and materials (rocks, sand, coffee filters) to design their own bioswale layering the materials to create the best filter for urban runoff. 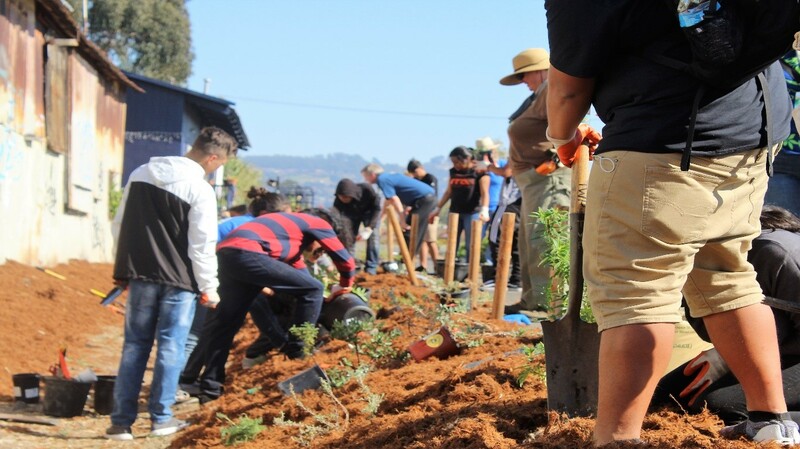 They then had the opportunity to actually help plant a real bioswale along the Richmond Greenway that will prevent flooding around the area and allow water to filter back into the ground. Some students shared that they remember this park being “trashy” before and now their families get to enjoy the beautiful public space.